Do I have a treat for you today!!! 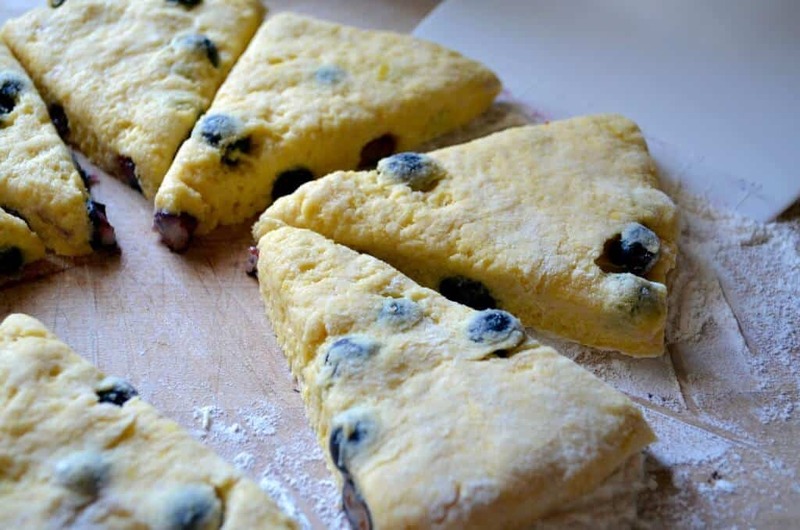 A recipe for Lemon Blueberry Scones. Move over muffins, I’m afraid my new baking addiction is scones. 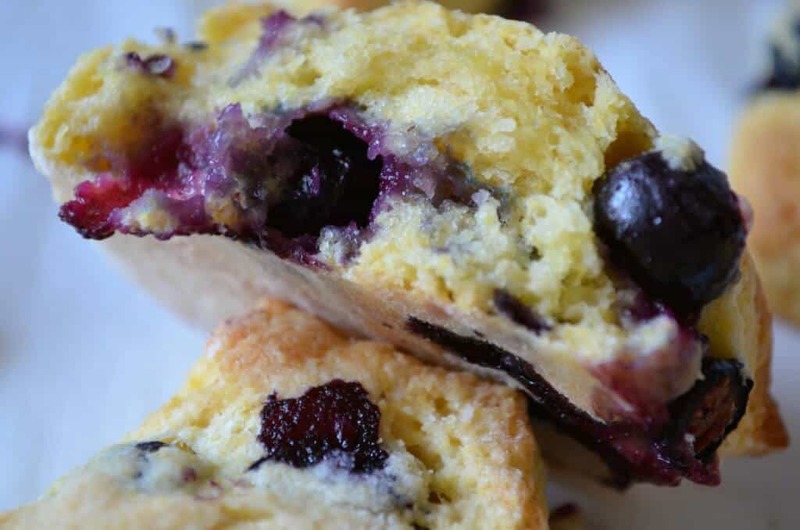 This blueberry scone recipe caught my eye as soon as I saw the list of ingredients, which included cornmeal. You will taste the cornmeal from the very first bite – but in a good way! It gives such a subtle crunchy texture to these scones. And I don’t think anyone needs to be convinced that lemon and blueberries are an amazing pair. There are countless recipes which highlight these two wonderful flavors. Perhaps you’re a North American like me, wondering what exactly scones are? (This is definitely not a food from my childhood.) They seem to be popping up on all the menus for breakfast in restaurants in and around the city. Well, the simplest way I can describe these breakfast scones to you is that they are a type of quick bread, which are lightly sweetened and usually include dried or fresh fruit. There are of course countless variations…always a question of personal taste. Tradition will dictate that scones are triangular in shape. These bakery style Lemon Blueberry Cornmeal Scones are not only great for breakfast and brunch, but they also make for a perfect mid-afternoon snack. Once you try these freshly baked, warm scones, it will change your perspective on life! ………….Well maybe that’s a little too dramatic even for me, but I think you get my point…they are really, really good. I’ve adapted the recipe for these Lemon Blueberry Cornmeal Scones from Better Homes and Gardens. The original recipe can be found here. These are some of the changes I made: I replaced the lime with lemon and I reduced the amount of salt. In the past, I’ve also replaced the lemon glaze with just a sprinkle of coarse sugar before baking. I used the same method of combining the ingredients as I did for my buttermilk biscuits. 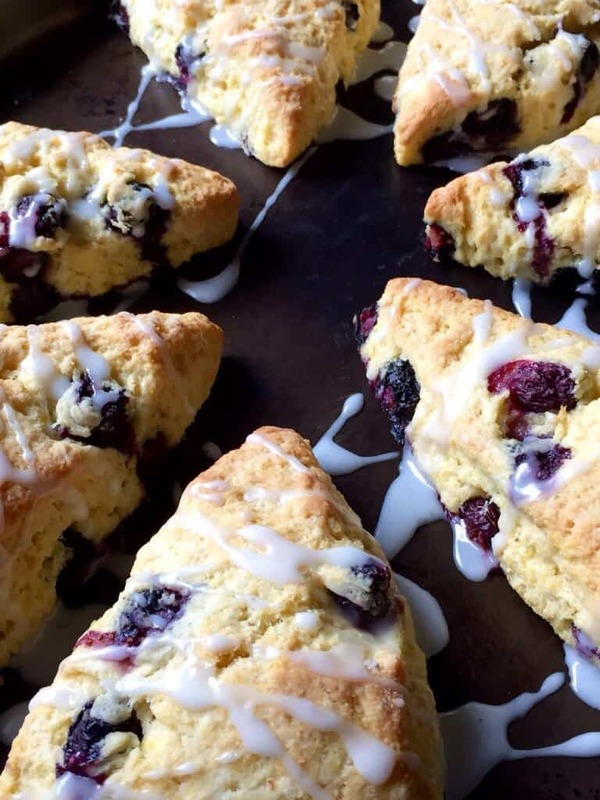 It’s always the perfect time to have these Lemon Blueberry Cornmeal Scones. Enjoy!!! 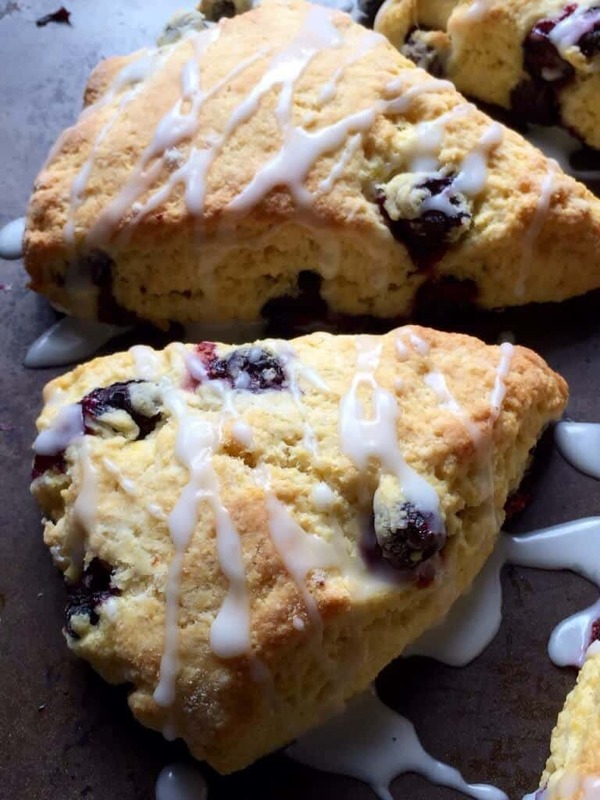 ★★★★★ If you have made this Lemon Blueberry Scones recipe, I would love to hear about it in the comments below and be sure to rate the recipe! Move over muffins, I’m afraid my new baking addiction is scones...and today it's these bakery style Lemon Blueberry Cornmeal Scones. Preheat oven to 425° F (220° C). Position rack in the center of the oven. In a medium bowl, whisk together flour, cornmeal, sugars, baking powder, salt and baking soda. Set aside. In a small bowl, whisk together buttermilk, egg and lemon zest. Set aside. In another small bowl, toss the blueberries with the cornstarch. Set aside. Toss gently to incorporate the butter. The mixture should look like coarse crumbs. Make a well and pour in the liquid mixture. Place the scones on parchment paper. Bake until fluffy and golden brown, about 12-15 minutes. Whisk together the lemon juice and the icing sugar. Once the scones have cooled off, drizzle mixture over scones. going to try these next week end. Thinking of substituting frozen cherries for the fresh blueberries. I’ll let you know how it goes. That sounds delicious. I have never baked with frozen cherries before. Can’t wait to hear how they turn out!